A genetic variation which evolved to protect people of African descent against malaria has now been shown to increase their susceptibility to HIV infection by up to 40 percent, according to new research. Interestingly, once people are infected, the same variant seems to protect against progression of the disease, allowing those who carry it to live about two years longer. The discovery, reported in Cell Host & Microbe, marks the first genetic risk factor for HIV found only in people of African descent, and sheds light on the differences in genetic makeup that play a crucial role in susceptibility to HIV and AIDS. The gene that the research focused on encodes a binding protein found on the surface of cells, called Duffy Antigen Receptor for Chemokines (DARC). The variation of this gene, which is common in people of African descent, means that they do not express DARC on red blood cells. DARC influences the levels of inflammatory and anti-HIV blood factors called chemokines. Although it isn’t yet entirely clear how exactly DARC mediates opposing effects during HIV acquisition and disease, the researchers suspect those with the DARC receptor are initially protected because they also have more HIV suppressive chemokines in their system. “In sub-Saharan Africa, the vast majority of people do not express DARC on their red blood cells and previous research has shown that this variation seems to have evolved to protect against a particular form of malaria. However, this protective effect actually leaves those with the variation more susceptible to HIV,” explained co-researcher Robin Weiss. 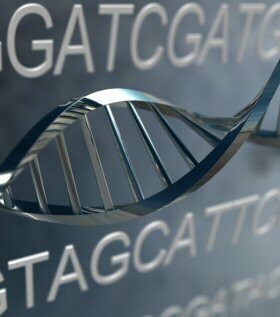 “The results underscore that genetic variants that influence transmission and disease progression can differ in their frequency among different populations, with possible impacts on the heterogeneity of HIV disease burden – not just at the level of individuals but also populations,” the researchers concluded.